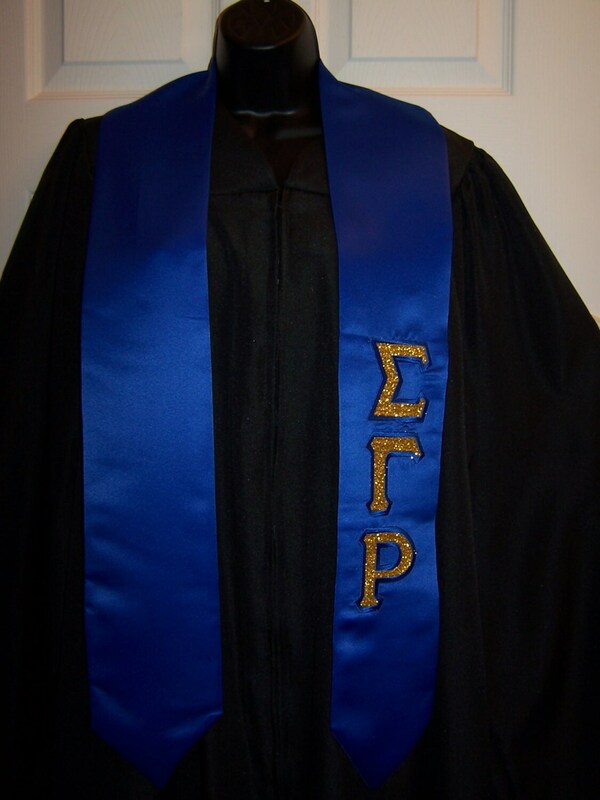 Sigma Gamma Rho Greek Lettered Royal Blue Satin Graduation Stole with Greek Letters done in embroidery or Glitter Flake or other wording of your choice on one or both sides. 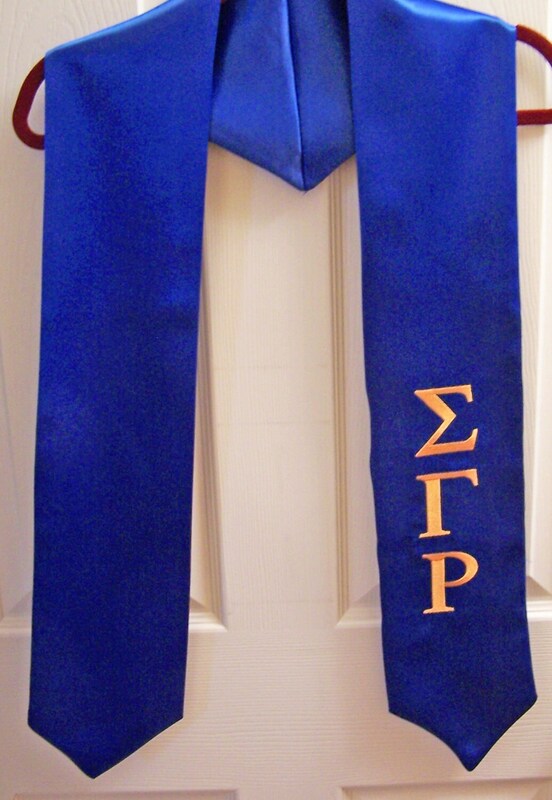 Perfect to use on graduation day to show off your organization pride - great keepsake to recognize/celebrate your graduation. This stole can also be used for choirs and clergy. 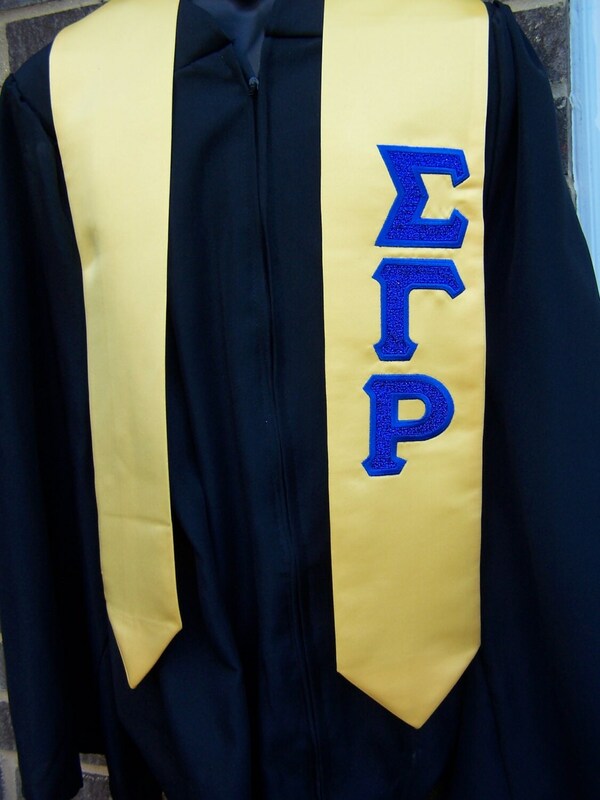 Professional embroidered with Greek Letters and thread color of your choice. 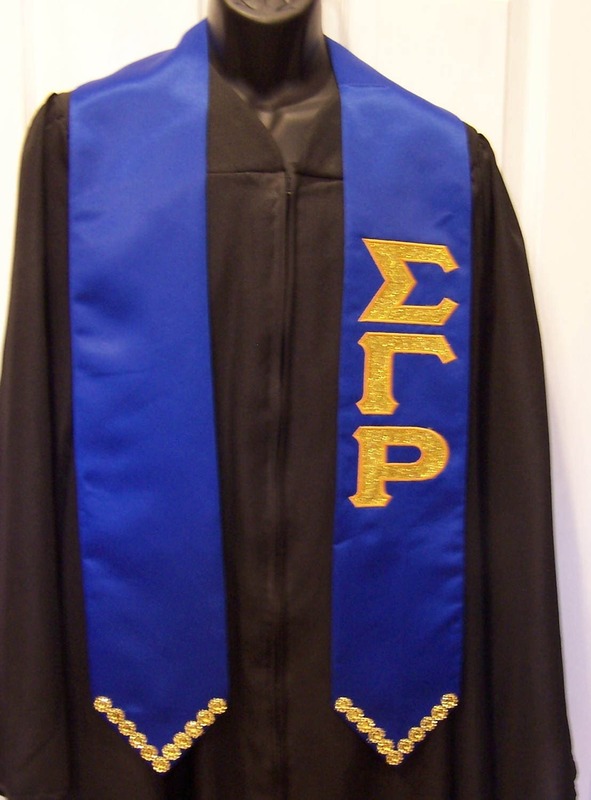 High density embroidered letters are approximately 3” wide x 2.5” tall, overall embroidery is 3” wide X 8” length. 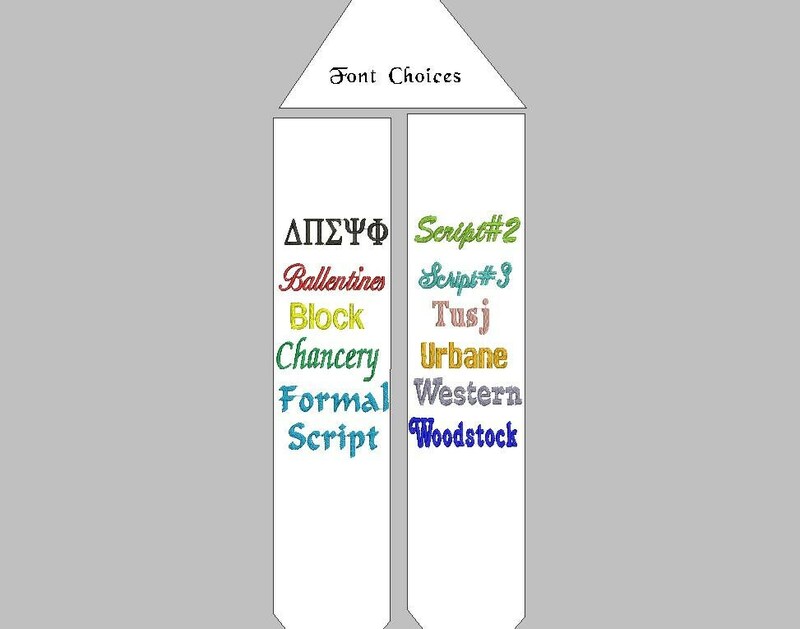 Other colors available: Pink, Gold, Red, Royal, White, Black, Purple, Emerald Green. Don’t see your color? – let us know we probably can make one up for you. Please allow 3 to 4 days production time for custom and group orders. We ship Monday thru Friday via USPS First Class mail. Looks great! 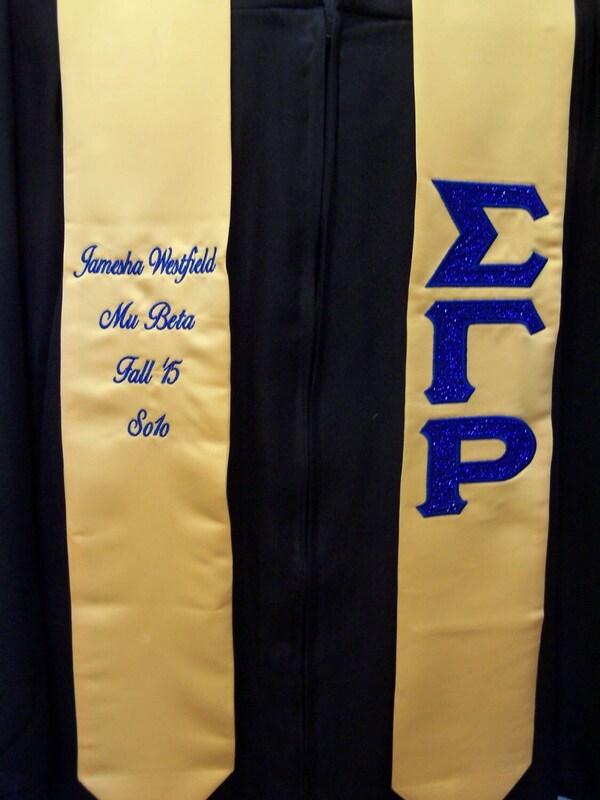 Love the glitter letters!